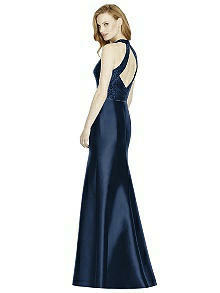 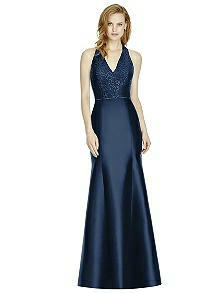 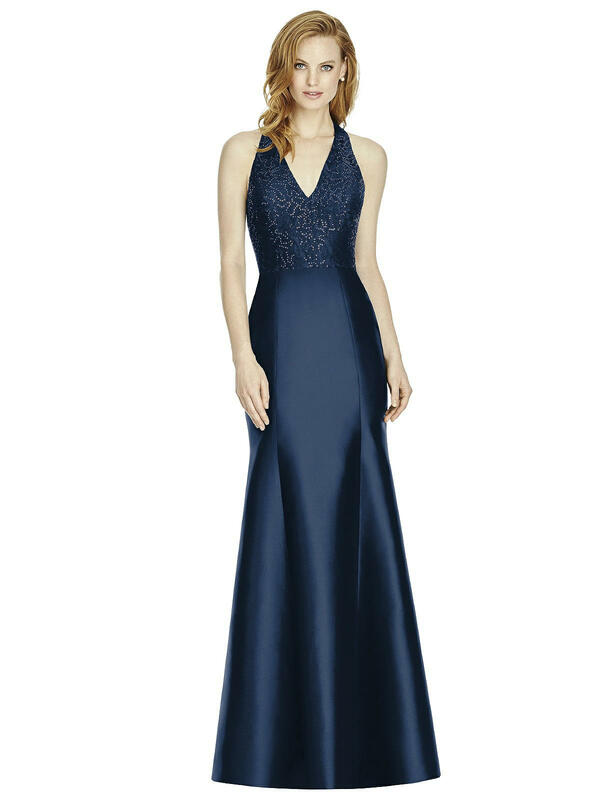 The open details in this V-neck halter satin twill bridesmaid dress are a sophisticated choice. An open back diamond cut out is enhanced by a fitted Victoria lace bodice. 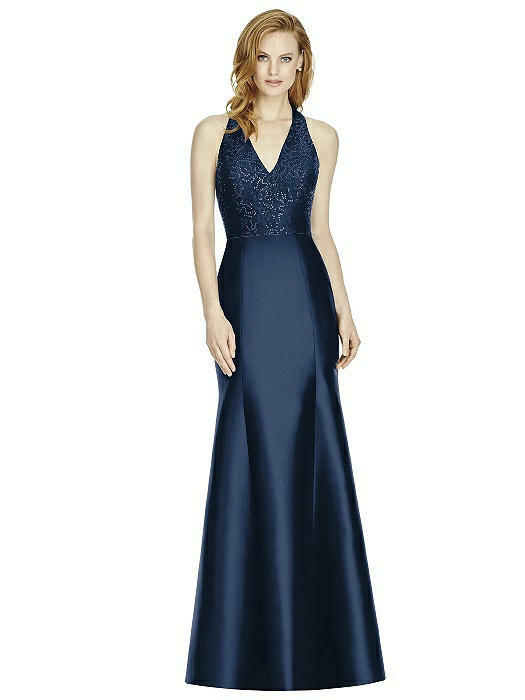 The full-length trumpet skirt completes the classy silhouette and produces a flattering effect.